On the place, where Aureskosken is now situated, there are long traditions in wood processing. In 1862 the company W.Rosenlew & Co rented the water rights of the Aureskoski district.The authorities gave the permission to use the water and build a power station in 1863.
was 629 logs. But already in 1872 the sawmill was closed down and in 1888 the old buildings were pulled down. It took as long as 40 years before the production started again. One local, Mr. Kalle Mäkelä, built a new one frame sawmill. There was then already a moulder. The first in the region. In 1949 again a new owner. Kaskisten Puutavara Ltd bought the sawmill. This company was a marketing organisation of 40 different sawmills. The sawmill was modernized and the production crew up. In 1954 it was already at the level of 57000 m3 timber a year. The first drying kiln was built in 1970. In the years from 1974 to 1977 the production capacity at the sawmill as well at the planing mill were increased. But in 1981 the sawmill was burnt down. The planning of a new sawmill started soonest and already in 1983 the mill was running again. 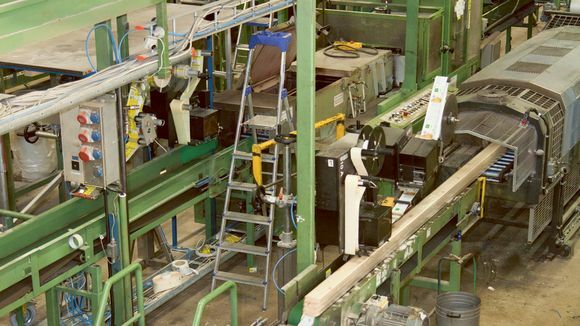 Now the production was at the level of90 000m3 timber a year. of the produced timber in the own lines. 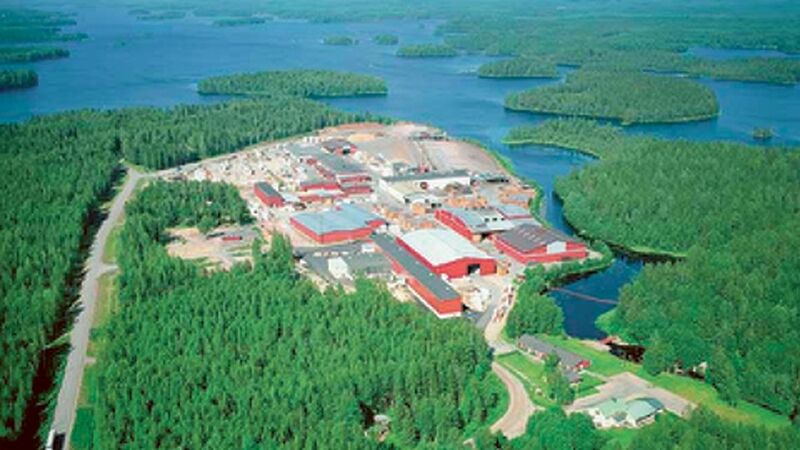 Fagerlied went into receivership and in 2000 UPM-Kymmene Ltd bought the mills in Aureskoski. In 2004 the sawmill stopped production, but there were investments in the further processed lines. Like in a very effective painting line. Later UPM changed their strategy and End December 2012 Aureskoski mill was closed down. April 10th 2013 Tammiwood Ltd bought the production units of Aureskoski and the production started again August 5th 2013. There has been investments in the production lines, so that we can offer goods for all kind of customers; from basic products into high quality customized products. The production capacity is about 120 000 m3 timber a year. About 50 % of the production is exported, the main markets are Japan, Germany, France and UK.11.3.2012.